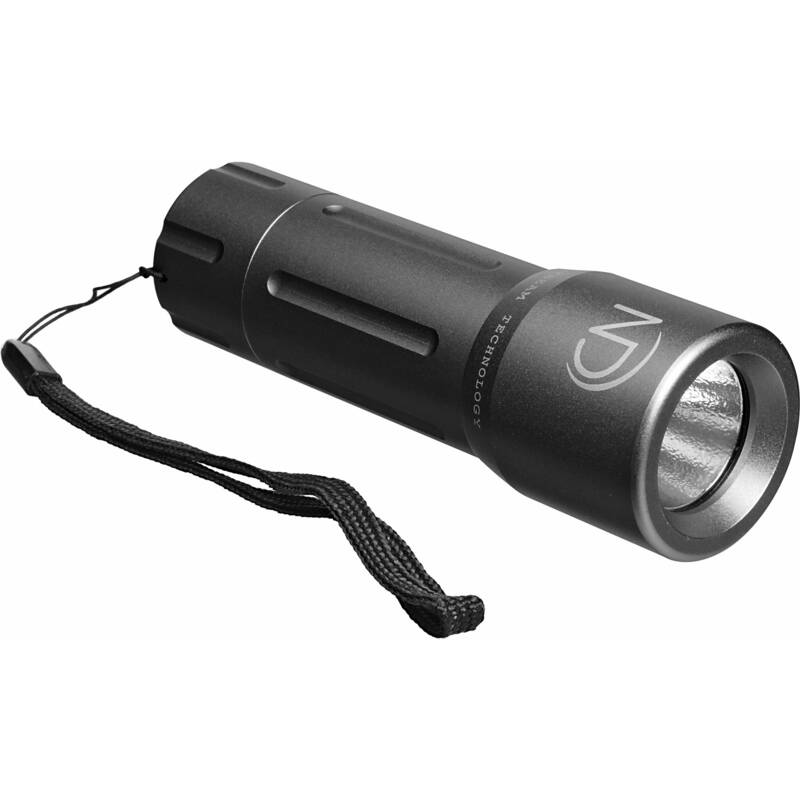 The Night Detective Hyper Beam V-45 Flashlight is a unique illumination tool that delivers a concentrated beam on demand. The internal optical configuration of this amazing hand-held light converts the illumination of a 3-watt LED light source into a highly concentrated beam that can reach out to remarkable distances. The V-45 delivers an outstanding 80 lumen beam, with a remarkable 5-8 hour run-time. Box Dimensions (LxWxH) 8.2 x 2.7 x 2.5"
Hyper Beam V-45 Flashlight (Silver) is rated 5.0 out of 5 by 1. Rated 5 out of 5 by Alvim G. from Bright beam! I've used it for camping and hiking. According to my friends they could see the light through the forest. I wish for this price, you can adjust the size of the beam. The strap is too small to go inside my wrist. Nonetheless, tis' a great flashlight!